EMPLOY is the pre-eminent supplier of broad human resources and recruitment solutions to the Mortgage Sector in Australia. And it’s this status that has resulted in the acquisition of a significant proportion of the mortgage processing industry and mortgage service providers as clients. To the team at Employ, each business has a unique set of challenges, and as such we deliver tailored solutions for Mortgage Processing Operators particularly in the development of models resulting in cost saving measures for their clients. We additionally provide onsite managed vendor recruitment solutions and human resources advisory to a number of mortgage industry business process outsourcing providers. Our sophisticated solutions have proven to be successful cost reduction outcomes developed specifically for the mortgage processing sector and are again tailored to suit each client. 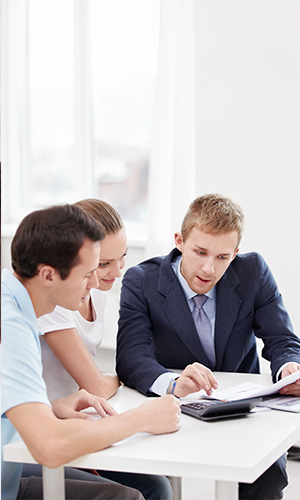 Lead by a management team with significant mortgage, banking and finance backgrounds, Employ has a reputation as a knowledgeable market leader in the Mortgage Sector. We offer exceptional support when it comes to complying with NCCP regulations, and we’re an active participant in industry associations to continually bolster our expertise in both the financial services, recruitment and human resources disciplines. Call us today on 02 9235 3777 to discuss how we can assist you.